To survive in an increasingly highly-competitive and resource-constrained market, the NGO sector must get creative and start working more closely together, writes Paul Ronalds from Save the Children, which has announced it’s second major merger in two years. Charles Darwin is said to have remarked that it’s not the strongest of the species that survives, nor the most intelligent, rather the one that is most adaptable to change. I think Darwin’s theory of evolution is equally applicable to the not-for-profit sector in Australia today. But are we evolving fast enough? Our charitable species is multiplying at a rapid rate. There’s an estimated 600,000 not-for-profits and almost 60,000 registered charities in Australia. And most Australians believe there are too many, according to a Pro Bono News poll conducted in November 2015. At the same time, people’s expectations of charities are rising. Charities can expect the same forensic interrogation of their supply chain or use of funds as corporations or governments face. From how we outsource fundraising to third-party contractors, to how we can demonstrate the impact of our work for the world’s most vulnerable people. This is as it should be. Our organisations don’t make widgets or seek to turn a profit. We often grapple with far more important and difficult challenges: such as solving poverty or responding to an ever increasing number of humanitarian crises. It follows that the highest standards of accountability are justified. But with these higher expectations comes higher cost. Yet, donations to charities have fallen. In 2014, the proportion of Australians donating to charity in an average year declined from 71 per cent to 65 per cent. Government contracts awarded to charities are being squeezed and in some cases re-directed to for-profit corporates arguably beholden to shareholders rather than the most vulnerable in society. In this highly-competitive and resource-constrained market, the NGO sector must get creative, evolve new business models and start working more closely together on sustainable approaches that best serve communities in need. NGO mergers, acquisitions and collaboration can deliver more and better services at a lower cost, while also increasing the number of beneficiaries. Yet in 2009, a federal government report found that only 15 per cent of charities surveyed considered merging. A 2015 Commonwealth Bank survey produced a similar result. Save the Children Australia is one of those to make the move. The benefits of consolidation, greater efficiency and pooling of knowledge and expertise were key factors when we merged with Good Beginnings Australia (GBA) two years ago. The two organisations shared a similar vision in achieving more for children and their families in Australia’s most disadvantaged communities through early childhood development programs. The merger allowed us to broaden our reach, deepen our level of programming expertise, and increase our policy influence with government and our attractiveness to many donors. We also generated significant financial savings to be reinvested in programming. Most importantly, the merger enabled us to provide education and other services in more than 150 locations in Australia and to some of the country’s most disadvantaged children. The success encouraged another merger, with educational not-for-profit Hands on Learning Australia (HOLA). Together we plan to scale up work to prevent disengaged children from dropping out of school and re-engage them in our education system. There is a real need here. A study by the Centre for International Research on Education Resources (CIRES) shows the rate of Australian school students finishing year 12 is in decline – one in four young people don’t complete Year 12. And the completion rates are much worse in remote and economically disadvantaged communities. Recent research from the Grattan Institute has shown that almost half of all Australian students are bored and disengaged, yet most schools lack the tools to keep students at risk of disengaging from dropping out. We know that targeted curriculums in disadvantaged schools, as well as increased financial investment, can combat the widening education divide in Australia. The work of HOLA is at the forefront of this new, flexible approach, which offers alternatives to the classroom for young people who don’t feel that’s where they belong. It supports schools to run the Hands on Learning program by delivering quality assurance, ongoing training and the development of artisan teachers who implement the program. Together we can expand the program’s footprint in Victoria and into other states and territories. We can do this by leveraging our joint expertise and our local knowledge to run programs with better outcomes for children and young adults. We can consolidate funding efforts and have greater influence on government policy and the systems that support children. But mergers are just one way in which charities can adapt the way they work to create impact. We are also trialling co-location and shared back offices to reduce cost and improve effectiveness. Particularly in the campaigning space, experience tells us that the more unified our message, the louder our voice, and the more likely we are to make real change. Take the Family Matters campaign, for example. Peak Aboriginal and Torres Strait Islander group SNAICC has brought together more than 150 Aboriginal-led and non-Aboriginal organisations, leading academics and prominent educational institutions to advocate governments to tackle the over-representation of Aboriginal children in out-of-home care. We are all committed to breaking the current cycle of child removal, and to improving outcomes for these children – with the ultimate goal to eliminate that over-representation by 2040. But if our goal is to have maximum impact, then we need to constantly assess and measure our work to ensure the programs we implement are based on solid evidence. That’s why we developed a new consultancy service, the Centre for Evidence and Implementation, to help strengthen programs and policy through science-based innovation. And we must practise what we preach and be generous, with our knowledge and resources – because the stronger and more efficient our sector, the better off we all are. Most important of all, the more we can ensure the fitness of our charitable species to continue serving the communities in which we work. 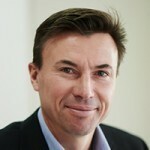 About the author: Paul Ronalds is the chief executive officer at Save the Children Australia.